Zebronics India Pvt. Ltd., India’s leading brand of IT Peripherals, Sound Systems, Mobile/ Lifestyle Accessories and Surveillance Products has launched its wireless speaker dubbed Prism. Aesthetically designed like a lamp with an overall smooth finish, it embraces the concept of minimalism through its crisp and clear design with capacitive touch controls and soft RGB LED light that work in dual modes. 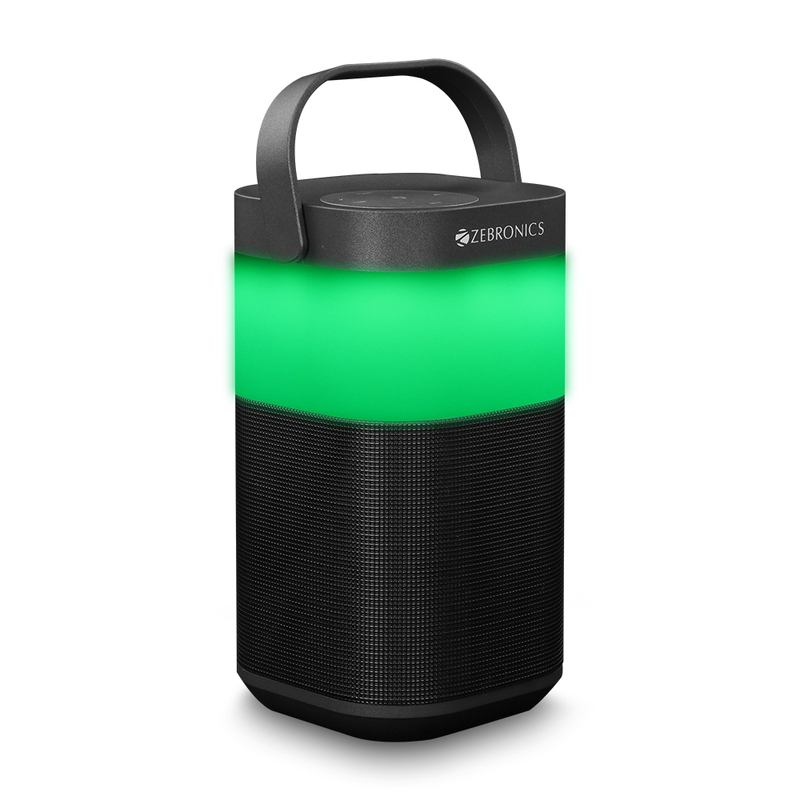 Bask in the luminous soft RGB lights and listen to high fidelity sound with the lamp like speaker that comes with an easy carrying handle. Start your day ritualistically listening to morning music or enjoy the fusion of soft RGB lights. when you want that relaxed mood for the evening. 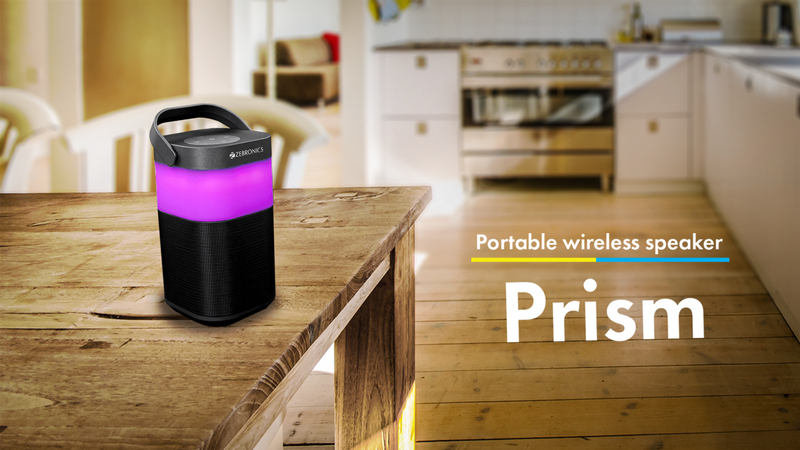 Prism wireless speaker comes with soft LED lights which work like a charm to quirk up your room or change your mood. 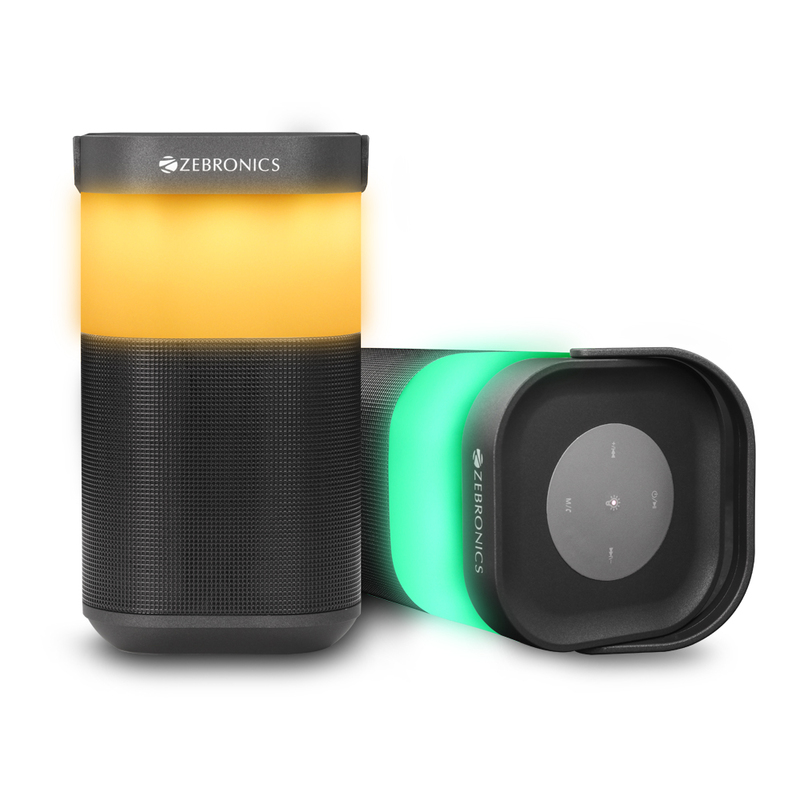 The lights work in dual mode, either in manual mode or automatic for the best setting experience. Change the LED color with a touch. Prism comes with capacitive touch controls, so all it requires is a gentle touch which activates the light controls, switch the songs with ease or increase/decrease the volume with a smooth move. It’s all about multi-connectivity options with the Prism. Form the wireless option, one can listen to their songs on the phone. One can also play their songs via a Micro SD card or can plug in AUX cable to listen to their playlist. It also has an inbuilt FM radio enhancing the listening experience. This product is available across all leading retail stores across India.